Nexus 1010 v1.3 - What's New? 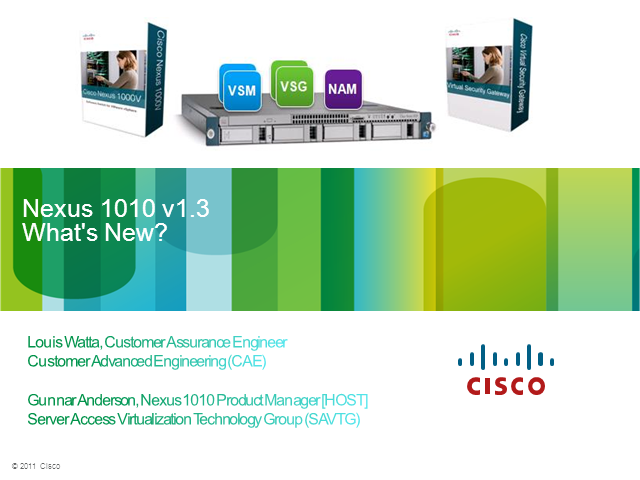 In this webinar you will learn about the new features and benefits of the Nexus 1010 v1.3 Virtual Services Appliance. The ability to host the Virtual Security Gateway (VSG) is just one of the many new features that will be discussed. Title: Nexus 1010 v1.3 - What's New?